Take advantage of arguably the best email solution. 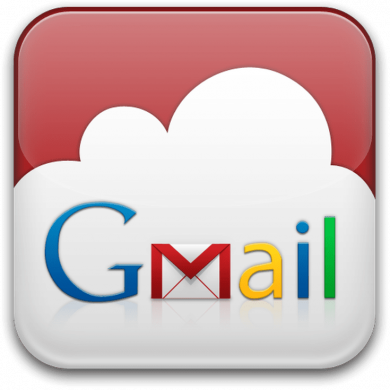 Gmail has excellent features, great integration with cloud services and mobile device applications along with excellent security and malware protection. Avinton can support you with the transition from your existing email solution to G-Suite to minimise business impact. G-Suite customers can also configure split delivery for cases where not all mailboxes are to be handled by Google. Gmail may also be integrated in various back-office automation operations using Google Scripts, Google Web Apps or Google App Engine. Using Google Apps Scripts and Google Cloud Platform Avinton can help you create tailored solutions that save time, reduce human errors and improve operational efficiency. From a powerful ERP solution to basic standalone tasks. We explore some examples below. Using Google Sheets, Gmail and some Google Apps Scripting we are able to automate the recording and time reporting functions. Managers are able to approve the working time with one click as well as see all the time reports for that period in one table. Both employees and managers are able to use these systems on mobile devices for on the go time reporting and approving. 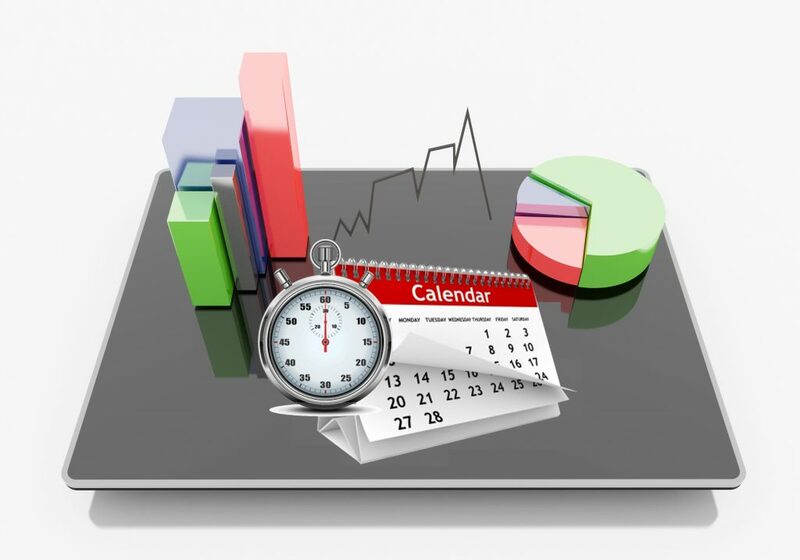 Time reports in different organisations and different countries may differ considerably so the time sheet templates can be fully customised in Google Sheets. The data from the time reports can then be used in the pay-roll and invoicing systems. As a result of the integration within Google Apps we are able to create attractive and highly tailored invoice templates in Google Sheets that are automatically sent to the client with a click of a button. The data layer and the presentation layers are isolated so you are able to edit and send invoices in batches to different customers. Quotations can also be handled in the same way. With integration with the transaction data from online banking, or using the Bank’s REST API, Google Apps can be scheduled to download the transaction history in order to update which invoices have been paid allowing business to automatically notify customers of outstanding payments due. Invoicing is used here as one example of a back-office function that can be handled using G-Suite. 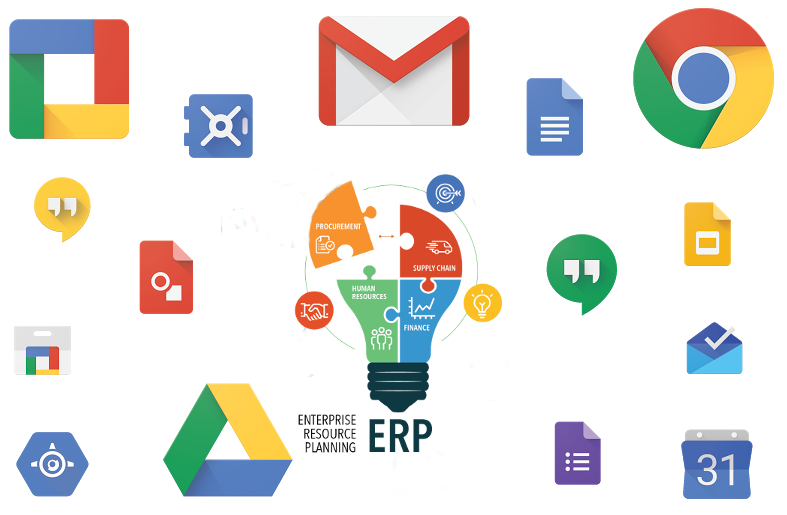 We have clients for whom we develop and maintain powerful ERP solutions fully implemented in G-Suite. Our Client needed to send regular marketing mail shots to its partners so we developed an integration solution using Google Sheets and Google Apps Scripting. 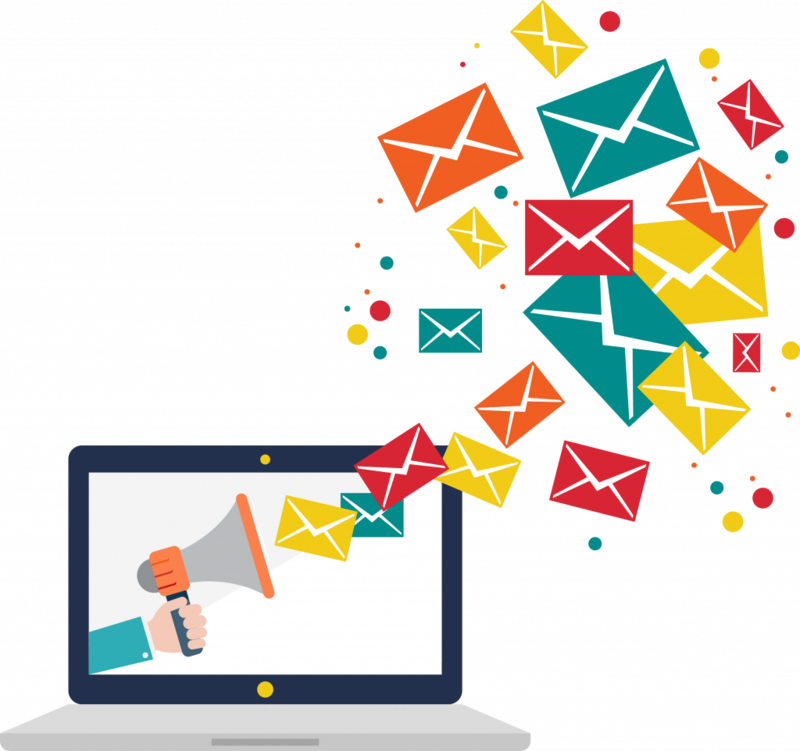 From a simple list of partners in a table and a number of email templates one user is able to send a customised message to a large number of recipients. Having this functionality available in Google Apps is especially convenient as it allows us to take contact information directly from contact groups in Google Contacts as well as file attachments from Google Drive. The updated version is using Google Web Apps with a more intuitive and user friendly front end for fool proof operation. Performance of mailshots is tracked and recorded to establish effectiveness through inbox analyses based on the recipient responses. Along with other customisations our customer ended up using G-Suite for their CRM solution saving significant licence fees of traditional dedicated CRM software. Google Data Studio allows us to display attractive visualisations on data from different data sources including databases, Google Sheets or even data crawled from the web. Among other things these dashboards provide improved Business Intelligence at a glance and can be used for financial forecasting, resource planning, sales reporting and so on. One of our clients is reporting the daily human errors on the factory floor, per team and per department, for quality control and continuous improvement while another is monitoring effectiveness of offshore teams as part of their operational excellence process. 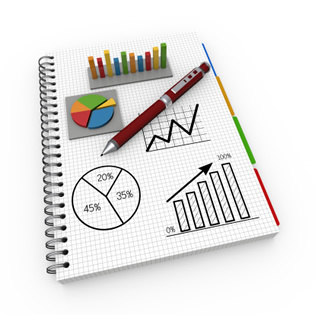 These reports are automatically shared periodically to the authorised persons based. Google Data Studio really brings our data to life and often allows us to identify issues which would otherwise go unnoticed.